It's funny but when I was a kid I don't recall seeing Gulls, or as we always called them (and most people still do), 'Seagulls', anywhere but at the beach or the dump. Back then the landscape was so much more pristine without all the fast food joints. How I loath the the trash they spawn. I'm not here to trash fast food restaurants, but that's usually what brings the mass amount of gulls inland. Another draw are cornfields. This cornfield sits right next to Pete's Sugar Shack. Which by the way he was boiling syrup tonight as I drove by. There were quite a few cars there too! He picked a great spot next to a very busy road. 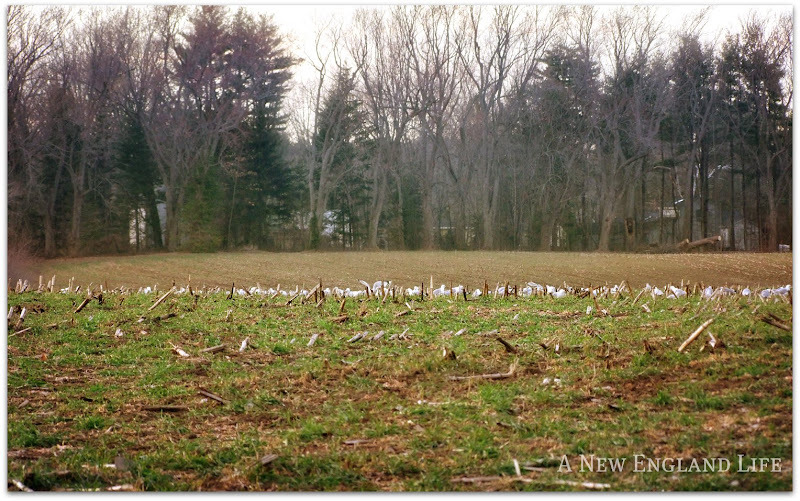 Anyway, in the spring the gulls come into the fields to eat the left over corn from last Fall. Huge flocks of gulls. This poor guy above was limping pretty badly but he looks healthy and could still fly. It's a big line up. They all land at the same time in the same general area, and all take off at the same time. I actually shot these images 2 years ago, about a month after I bought my camera. I'm hoping to get back this Spring when it finally warms up, and photograph the gulls once again. 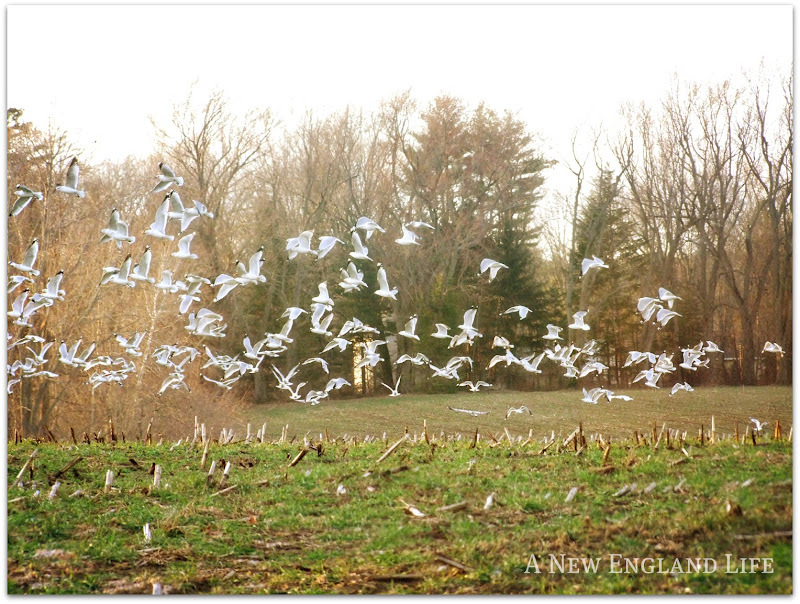 And these shots don't show even close to how many gulls there actually were. * I don't know why but for some reason Blogger emailed out an old post of mine to subscribers this morning. The post was from December, titled 'At Rest'. I don't think that's ever happened before. Sorry! So gorgeous! Gotta go, can't cough and type at the same time. Your pictures are riveting. Loved them. Wow! The shot where they take flight is amazing. I've seen lots of gulls (we call them seagulls here) inland... which seem a bit strange to me, too! How cool to see so many gulls at one time! 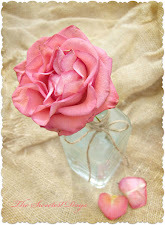 I love your photos, such great shots, Sharon! I'm glad I'm not the only person to find it strange to see Seagulls far from water, even if we are used to seeing them hanging around fast food restaurants. I'd be lying if I said I didn't love them though! They're just too cute. It might be the fond memories of feeding them as a child but I can never resist the urge to share some bread or a few fries with one. Near where I work, we have the gulls hanging around the two high schools - which to me means that lots of kids are throwing away the lunch mom made and going to the corner store, lol! You always have such stunning photos! Enjoyed catching up on your last post too! Thanks! 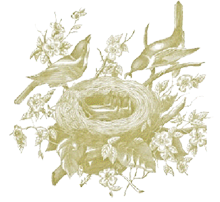 Oh so nice to see more New England pictures..They sure are lovely photo's too..you have a photographers eye for sure..my husband call's them dump chickens..haha..but they are one of God's creations. 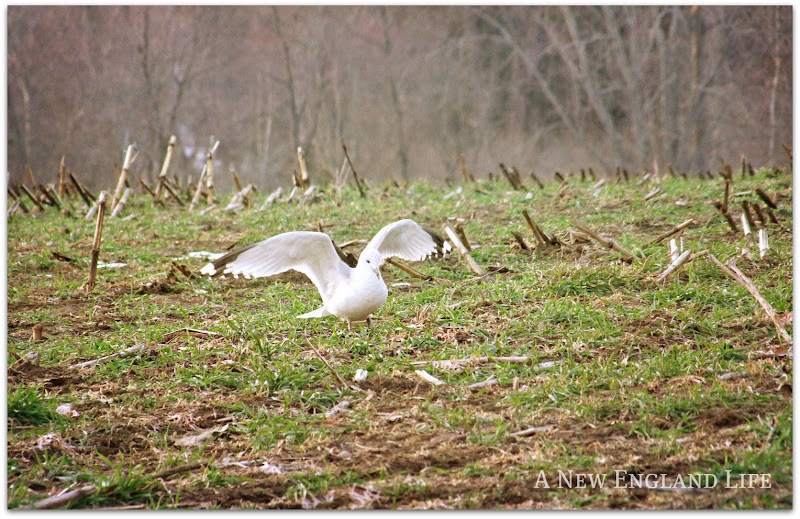 Even though I am an Island girl, however, now live "inland" out in the country, it amazes me how seagulls intuitively know when the farmer comes to cut our fields. Seagulls are always first inline for the taking! Happy to know you are blogging! I have just discovered your blog and have bookmarked it to return. I am searching for a new camera and wondered what kind you use as your photos are great! Please email me and tell me!! I have a blog and some of my nature photos can be seen spread out on it. Wow, these are beautiful, especially that last shot, Sharon! It's always fun to watch great flocks of birds wheeling across the sky together, like a ballet in the air! Beautiful, my friend. Simply lovely - the shots of them flying. Sharon you took my breath away with the Seagulls . That what I call them . Wonderful to see them all in flight . There werent any in Hawaii which I found strange and I did look . I do love them . Not many do but I do. They come back here in the Spring to Canada and come around in the country when its going to rain or in fields as you have shown. I have a broken nose and a fractured cheek bone. Im taking advil and have lots to TLC . So glad you stopped. Stunning Images and a joy to view. I believe God put me on earth to accomplish a certain number of things and I will live until my work is finished. Visiting nice blogs like yours is high on my list. Right now I am so far behind I don't think I will ever die! Take care and above all else, guard your heart for it affects everything else you do. We live 1.25 miles from the ocean in CA. We listen to gulls morning/noon/night. That is a plesant constant. But being down by the water when they are in the air is down right dangerous. Serious dumpers they are. They hang out in the parking lots of grocery stores in our area. Not a good idea to park near a light pole either. 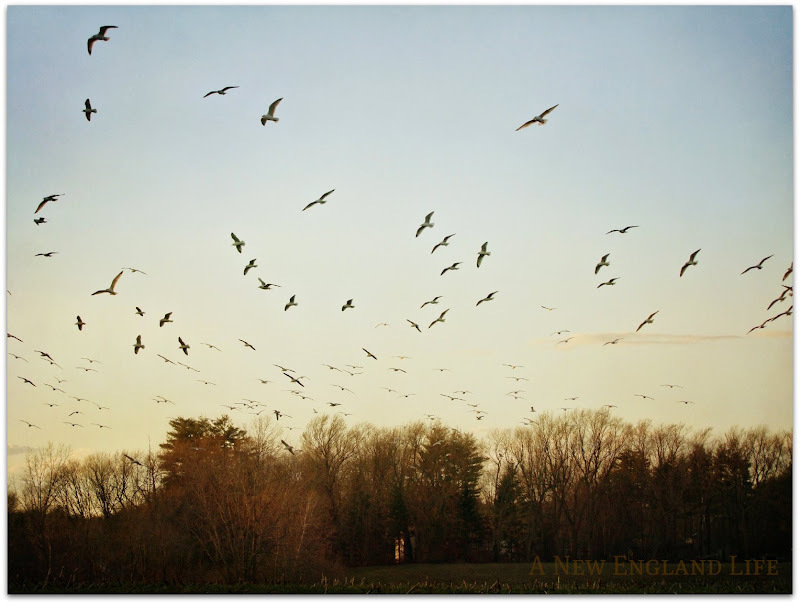 I am always fascinated by flocks of birds, gulls or whatever, so the last couple of photos are wonderful!! The last one especially, the way the gulls are all circling in the evening light!